Littlewoods LLC | Excavation, Construction, Landscaping We got you covered! Our sitework is extensive; and if your need machinery, we are just a call away! We have the equipment to do what ever it is that needs to be done on your plot of land. We start with lot clearing, tree work, stumping and grading. We will continue the process of developing your land by digging for underground utilities, septic systems, trenching and drainage work. 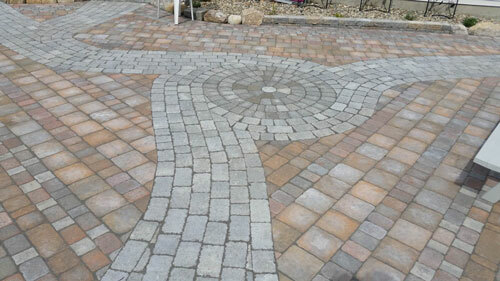 We also put in driveways, ponds and much more. We do foundation work! Every good home starts with a solid foundation! Other things to consider are underground utilities & drainage work. Now that your property is prepped and graded we can start building the house of your dreams! Every great home starts with a solid foundation. We then start build your home from top to bottom. There is framing, doors, windows, roofing, siding, rough electric, and plumbing. No matter how large or small the job, we got you cover! We also do repairs, renovations and additions. No matter what your construction needs are, we will work with other professionals from start to finish to get the job done. Excavation, Construction, Landscaping We got you covered! 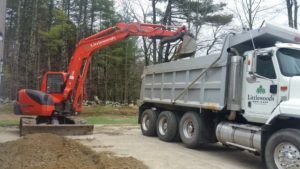 Excavation includes site work, septic systems, utilities, drainage and more…need machinery. We are just a call away. Repairs, remodels, additions or new construction…we can help with any project around your home. We are proud of our craftsmanship and truly take pleasure in creating the finishing touches to make your house…your home! 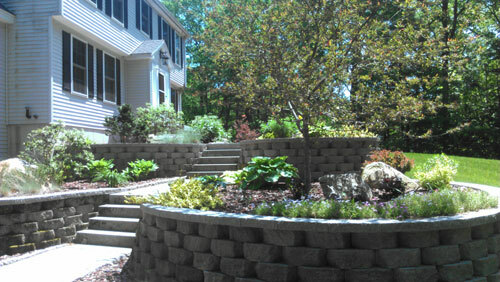 Landscaping includes patios, walls, steps, walkways, and so much more. 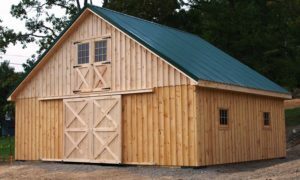 We do projects large and small, so give us a call today to set up an appointment. 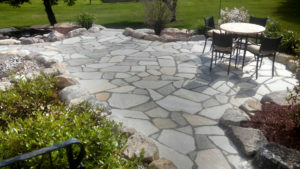 We create beautiful walkways and other hardscaping! Walkways accented with plantings, birdbaths, or a park bench the front of the house can be just as enjoyable to be around as the backyard. Patios, either around the pool, off the back porch, or as a standalone feature, patios provide great useable space for entertaining quests. We Build stairways to compliment your walkway. “A diamond is forever” In New Hampshire our diamond is GRANITE! Granites’ timeless endurance and rustic look compliments, a country farm house, to a stately manor home and everything in between. Retaining walls by themselves or incorporated with a stairway, retaining walls can create beautiful planting areas or level areas for recreational use.